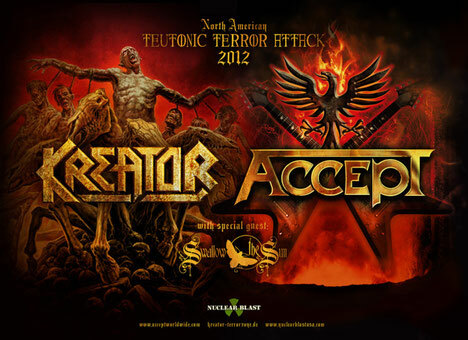 KREATOR and ACCEPT will join forces for the North American "TEUTONIC TERROR ATTACK TOUR" in September and October. Opening the trek through the U.S. and Canada will be Finland's SWALLOW THE SUN. On September 6th, POWER THEORY will perform with them at The Trocadero Theatre in Philadelphia as a guest. After this tour ACCEPT will continue the tour in Europe and Japan. Visit the band website to check out the latest tour info. 05 Howard Theater – Washington, D.C.